Nara Rohith, undoubtedly the most busiest actor in Telugu cinema at the moment, has already had two releases this year. The actor’s third film of the year, Raja Cheyyi Vesthe, will open in cinemas worldwide on April 29. Today, the movie completed its censor formalities with a U/A certificate. 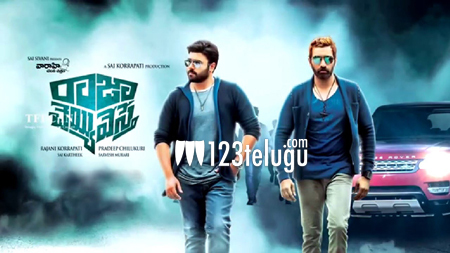 Raja Cheyyi Vesthe is a stylish action thriller. The film’s theatrical trailer received good applause from all quarters. Nandamuri Tarakaratna plays a menacing antagonist in the film. Isha Talwar is the female lead. Debutant Pradeep Chilukuri directed Raja Cheyyi Vesthe and Sai Korrapati produced it.